World of Tanks is a legend among tank games, mainly because it is the game that made them skyrocket in popularity. 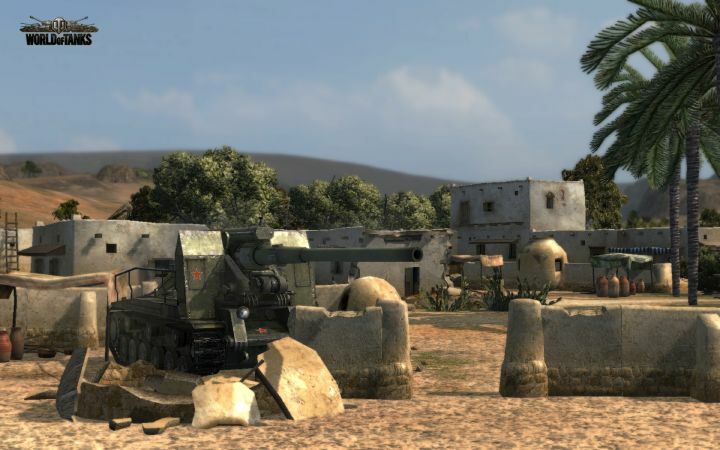 Many people who never really played any tank games fell in love with tanks as soon as they tried this game. Even tough the same could be said about War Thunder, which acted in similar way but came out later. There is huge difference between these two tough, especially when it comes to realism. 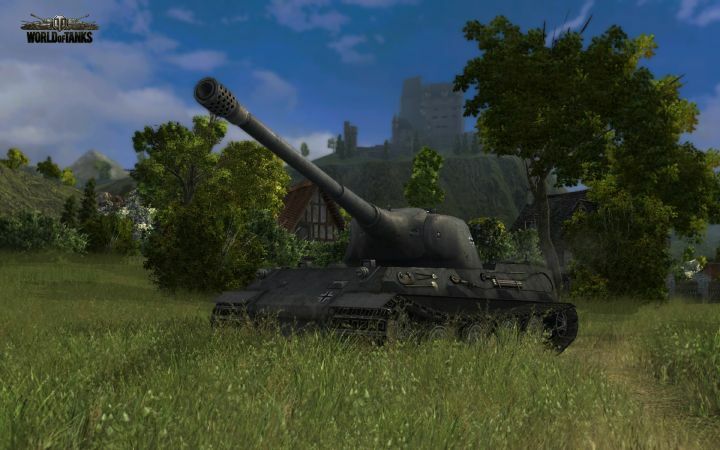 World of Tanks is focused on fast arcade battles, with tank physics slightly modified to appeal to the gamers. Where as War Thunder is more realistic, even in arcade mode. So if you are a fan of arcade games and you don't want to stress too much while playing, World of Tanks might be just the game for you. This is the biggest advantage of this game - how simple it is to get in and play. Games are fast paced and all you have to care about is to stay well hidden from your enemy's sights and aim at their weak spots. This, in combination with tons of vehicles you can research, buy and upgrade, makes for a great gaming experience. When it comes to graphics, World of Tanks offers beautiful detailed models of all tanks and spectacular maps that will really drag you into the game. Almost everything on the map is destroyable which is really funny and we loved just runing over things to break them. It also creates new tactical possibilities since you can hide behind a wall but if it is too weak, the wall is gone with one shot from the canon. In this game you also have to manage your whole tank crew, train them and choose their special abilities, such as the sixth sense, which tells you that the enemies have spotted you. Upgrades are even bigger part of tanks themselves, since you first have to research new tank, then buy it and then you can research and buy upgrades for it, such as new engine, faster turret and so on. This way you can slowly work your way up from light tanks into medium and heavy tank tiers that have completely different gameplay style. Battles with these tanks are more tactical, longer and everybody is playing safe. The matchmaking system is great tough so you won't have to play heavy tanks if you don't want to, just pick light tanks and you can play fast games again. Like most of games like this, even World of Tanks is free to play. That of course means that you will find microtransactions in game. Opposite to War Thunder for example, here you can buy more than just cosmetic stuff for your tank, such as better munition which doesn't make terrible difference, but at least some. On lower tank tiers you probably won't notice anything but if you want to take this game seriously and play it on pro level, you will have to pay eventualy to be the best. The game is entertaining even without paying so you don't really have to worry about premium accounts when you are beginning. Anyway, it is free, why not try it today here? Crossout - best postapocalyptic MMO?